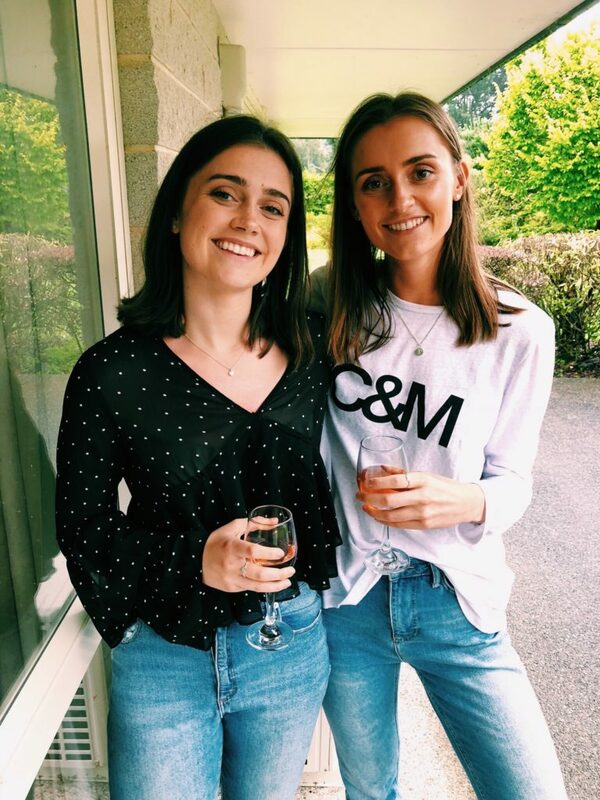 ﻿ Sophie and Emily Martin - I AM Co.
We’re obsessed with hearing about what other people eat all day everyday and we just know that you’re all as curious as we are! There’s something so intriguing about knowing the secrets of a healthy foodie. Follow along with this series where we find out what a wide range of successful health-loving ladies eat in a day. This week we chat with the stunning duo behind the ‘The Tasty Twins’. Sophie and Emily are twins with a love for all things health and fitness! They have a passion for creating healthy (but also some not so healthy) recipes in the kitchen, and love getting sweaty in the gym. With a passion for living a balanced lifestyle and promoting mental health awareness, their goal is to encourage others to find their ‘healthy’! Sophie: Oats are definitely my favourite! I’m currently loving chocolate protein oats with banana and raspberries! Emily: Love oats too! But my fave toppings are banana, peanut butter and maple syrup. Sophie: When avos aren’t $6 each, avo and eggs on toast is my go-to, or peanut butter and banana on toast! Emily: I love a smoothie bowl! Usually with salted caramel protein, frozen banana, and berries, with granola and peanut butter on top (can definitely see a peanut butter theme here)! Sophie: Nourish bowls are the best! Love to include sweet chilli chicken, avocado, roasted vegetables and sweet corn! 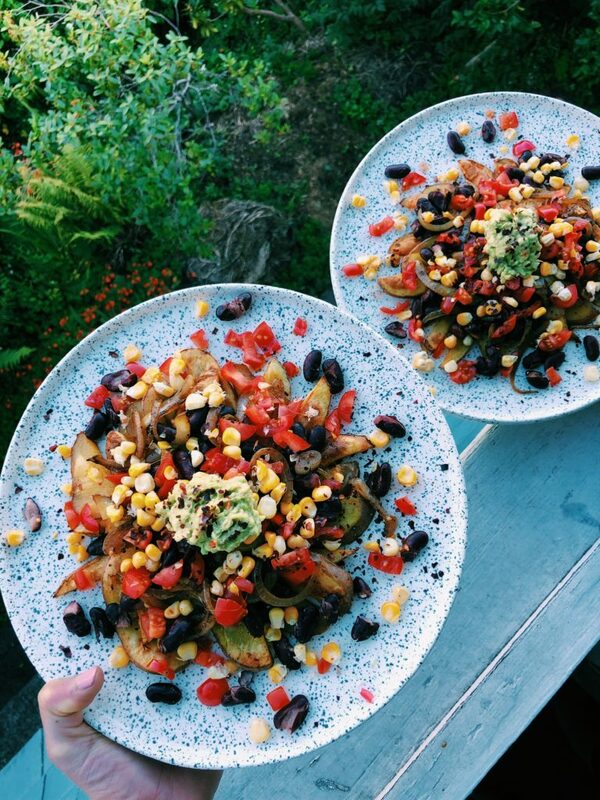 Emily: Love a nourish bowl as well! Usually with chicken or roasted chickpeas for protein, kumara or potato, then any fresh veggies and some kale chips to top it off! Emily: Dessert of course! Can’t go past a raw slice, or maybe a choc chip cookie! Sophie: Nuts are always good! Or a piece of fruit with nut butter! Emily: Muesli bars are my absolute go-to! Love anything from Tasti – the protein and Made Simple bars have kept me going for the last three years! 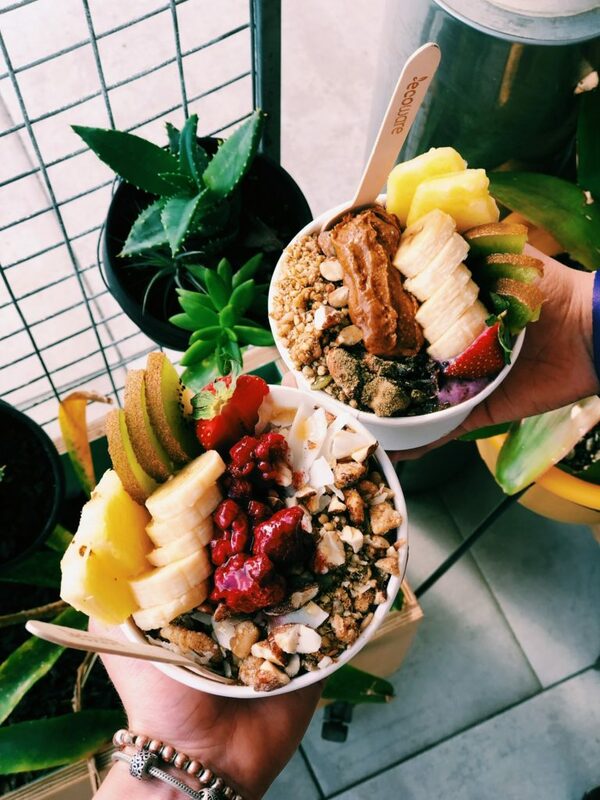 Sophie: Bondi – smoothie bowl heaven! Emily: Have to go with Bondi Beach too! The cafes there are next level, and so many different health food spots! Sophie: Could not live with bananas, oats or peanut butter! Emily:So tough! Probably peanut butter, chocolate and coffee (wouldn’t be able to survive otherwise)! Sophie:Kapiti white chocolate and raspberry ice cream or any dessert to be be honest! Emily: We both have the BIGGEST sweet tooth! Cheesecake is my fave treat, especially a salted caramel one! 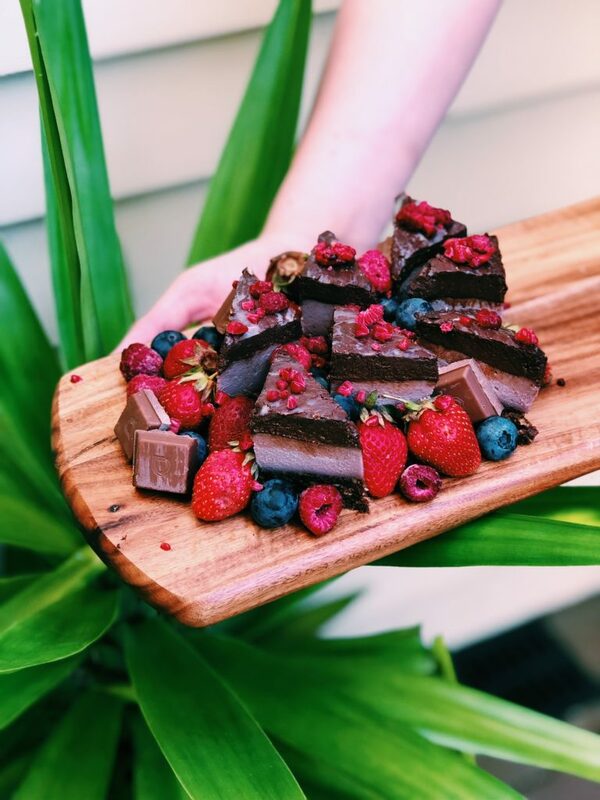 Sophie: Our Choc Raspberry Brownie – super gooey and sweet! Emily: Super simple, but our three ingredient protein pancakes are pretty delish! Just banana, egg and protein powder, with any toppings you feel like that day! So versatile and always a crowd pleaser!